A career in teaching is inviting, challenging and satisfying, and requires the strong preparation that a nationally accredited school like Goshen College can provide. Goshen College announces the appointments of new administrative faculty members. 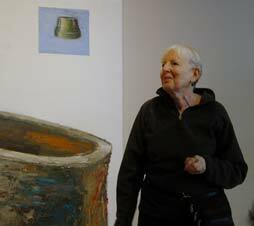 Nationally-recognized figurative abstractionist Vera Klement is the 2003 Eric Yake Kenagy Visiting Artist. Goshen College students recently experienced typical Dominican hospitality in a remarkable place: the National Palace.